Tile, stone and countertop projects might not sound especially complicated, but they can be surprisingly hard to get right. Seeking expert assistance can help homeowners save time, money and frustration. Contractors who specialize in this field are trained to install and repair tile and stone surfaces in your Addison home, from flooring to backsplashes, as well as countertop materials such as solid surface, granite and marble. In addition to basic surfaces, many Addison, TX tile, stone and countertop contractors can create and install murals and mosaics, as well as add decorative edge treatments to countertops. They also repair or replace surfaces in the event of chips, cracks, stains or other damage. Many tile, stone and countertop professionals also install shower pans, radiant-heat flooring systems and other common components of surfacing jobs, often working in tandem with Addison, TX plumbers or other professionals. Here are some related professionals and vendors to complement the work of tile, stone & countertops: Interior Designers & Decorators, Architects & Building Designers, General Contractors, Kitchen & Bath Designers, Design-Build Firms. Find a tile, stone and countertop contractor on Houzz. 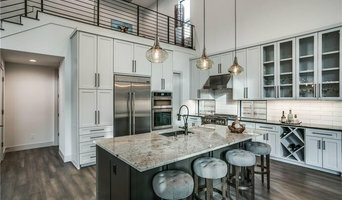 Narrow your search in the Professionals section of the website to Addison, TX tile, stone and countertops. 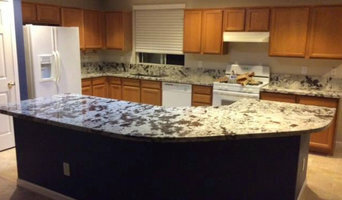 You can also look through Addison, TX photos to find tile, stone and countertop projects you like, then contact the contractor who worked on it.